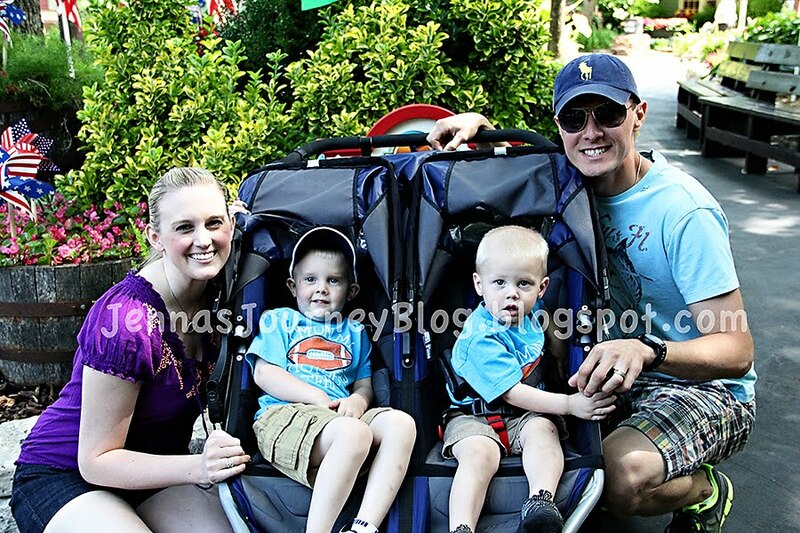 Last week Chris and I took the kids to Branson for a little vacation. Boy oh boy, was this vacation better than last years. We stayed in a 2 bedroom cabin at a resort that we like visiting up there. We had a very full schedule, and I had to be back for my sister in law's baby shower, and then my mom had a very important doctor appointment that I wanted to be at, so we bumped up our return by one more day. We managed to get everything done that we wanted to! 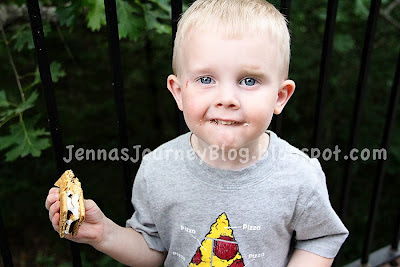 There were lots of firsts going on...I might save some of Brody's for another post. But here's one that both boys shared - their very first s'more! I make mine with peanut butter. De-licious! 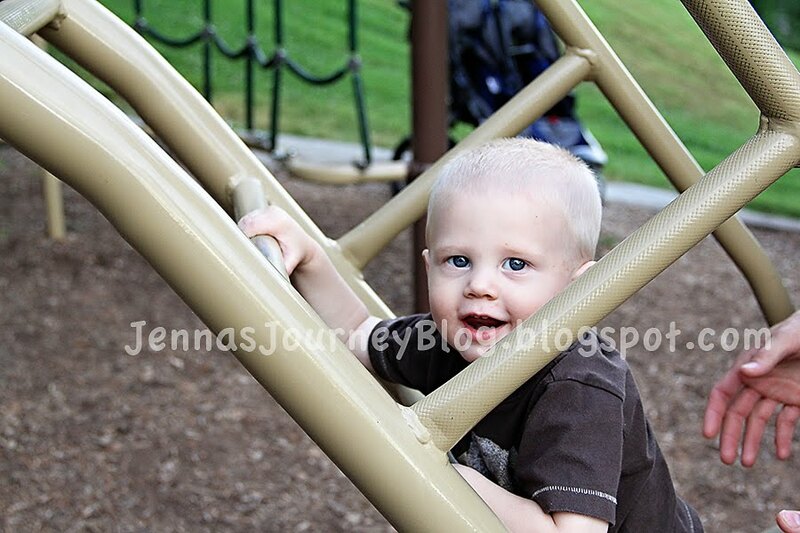 Brody loved playing on the jungle gym near our cabin. We also went to Silver Dollar City for the first time with both boys. 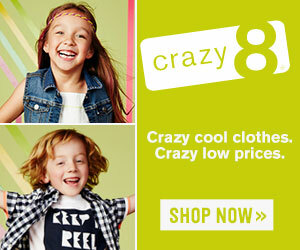 I had a few people tweet me and ask if there are any rides for kids so young - yes, there are! If your kids are over 36" (like Brayden is) there are probably 10 rides they can go on. Brody was able to go on a few as well! If you are thinking about going, visit their website - they have all the height information for each ride there. 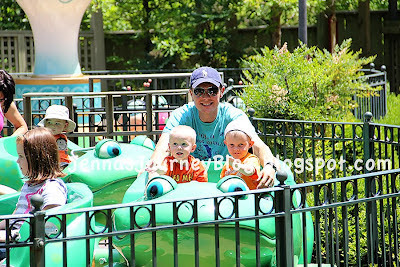 Both boys enjoying the frog ride with Daddy! 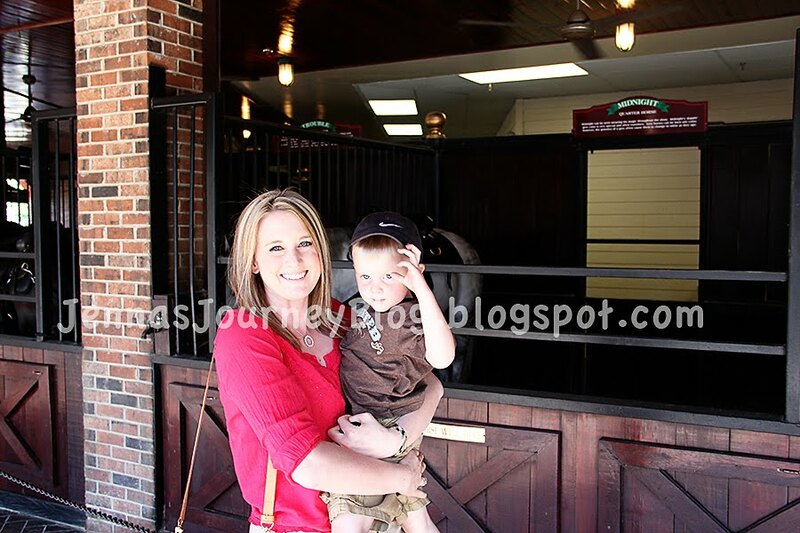 Another thing we thought would be fun is the Dixie Stampede. If you've never been, it's a dinner show full of horse riding. You eat dinner with your hands - a cornish hen, pork loin, corn, baked potato, cheesy roll (similar to this), soup...I don't remember what else. Lots of great food! Before we went in, we walked around the stables and saw the horses. The kids LOVED the show! We were the first to our row, so we were able to get the end seat and put Brody's high chair where he could see. He was mesmerized! So was Brayden! It's a great thing to do if you're visiting Branson! It was such a fun vacation! We can't wait to go again!